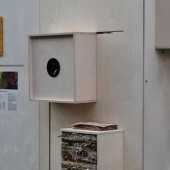 The Hermitage Project forms part of the ‘Unspoken Revolution’ studio. It encourages students to develop a sense of social responsibility. 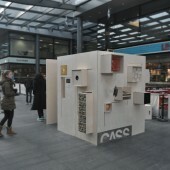 The project is in collaboration with the Whitechapel Mission; ‘Always the homeless first’, and BDG architecture + design. 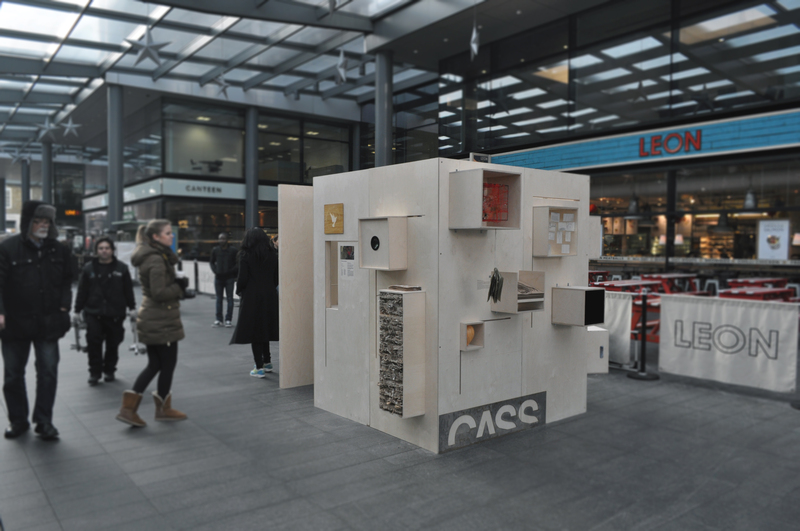 Our design outcomes aim to highlight, focus and punctuate the issues through materiality, action, haptic skills and meaningful imagery, in order to challenge the public perception of homelessness. Students: Year 3: Iliana Mitova – Project Manager, Julie Berdou – Project Manager, Marek Jankovskij, Peju Oshin, Enrique Gomez, Alicja Mrowinska, Kat Standen, Jowita Chanowska, Veronica Buzgau, Shamma Al Ali, Katie Underdown, Arina Darvaja, Dia Bajraktari, Charmaine Fearon, Ricardo Samuel. Year 2: Catarina Loureiro, Francesca Parpinel, Petya Kalvacheva, Louisa Evangeline Cole, Maria Tayyab, Ewelina Ruminska, Ammara Quadoos, Tesa Herman, Adelina Galateanu, Martina Terracciano, Christano Alves, Adeshina Solomon – Sam, Moayad Ahmed. The Hermitage is a space for contemplation, a retreat. 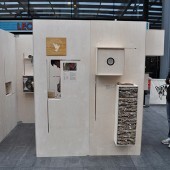 The concept is to try to raise social awareness of homelessness through metaphorical structures. 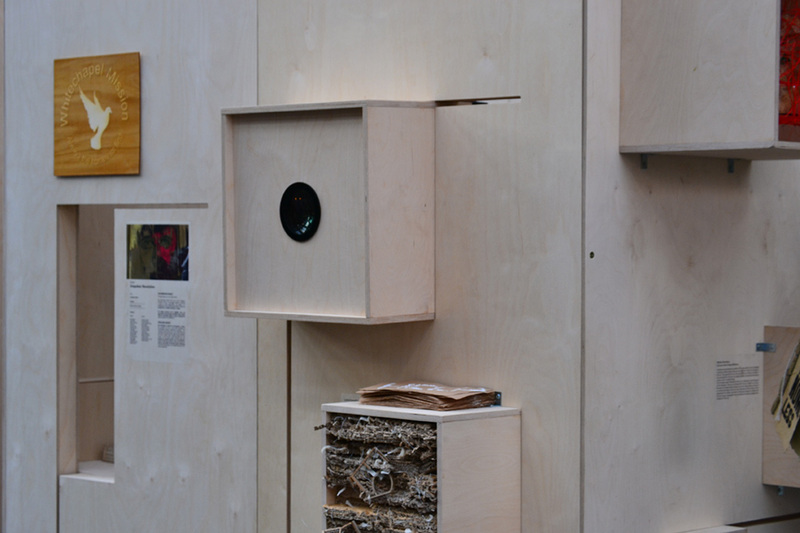 The housing for these structures is a set of birch faced ply screens that are punctured with apertures that represent the void in society where homeless people live. 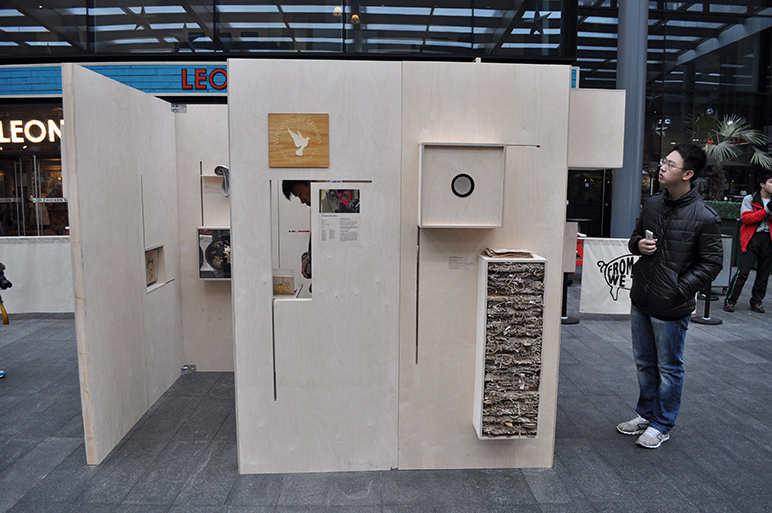 The exterior of the structure holds elements that work towards the perceived public’s view of homelessness, while the interior demonstrates a series of pieces that are based on real profiles of homeless people, challenging conventional perceptions and transforming them into a sensory experience.